"Maritime Security Expert Witness" "Cruise Ship Security Expert Witness"
"Cruise Ship Security Expert Witness" "Maritime Security Expert Witness"
We can assist your legal team with records review; case analysis and evaluation, and, expert testimony on a variety of cruise ship, merchant vessel and seaport issues. We provide attorneys with a high-impact, world-class maritime expert witness who can simply, effectively, and convincingly convey the facts no matter the complexities of a case. We offer unmatched objective expertise and experience in all areas of maritime security – with a focus on cruise ship security, best practices and international regulations. 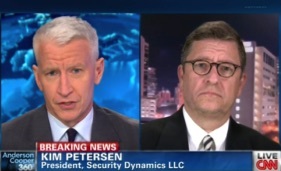 "Kim Petersen is one of the world's leading maritime security experts"
1620 W. Oakland Park Blvd.